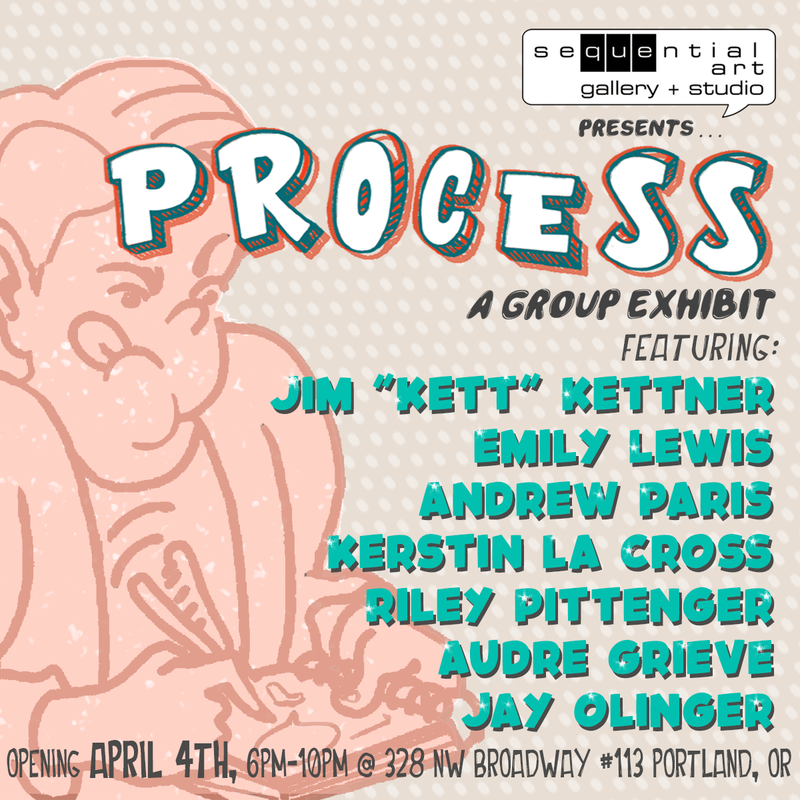 April 4th 2019: Opening reception for "Process" at Sequential Art Gallery + Studio, curated by yours truly! 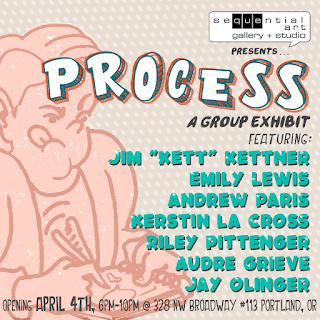 Exhibit open through May 2019. 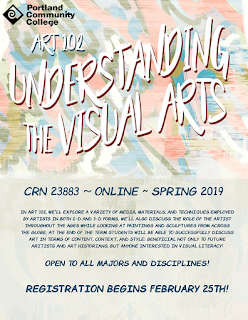 April 2019 - June 2019: Teaching Art 217 (CRN 20714) & ART 102 (CRN 23883) @ Portland Community College. 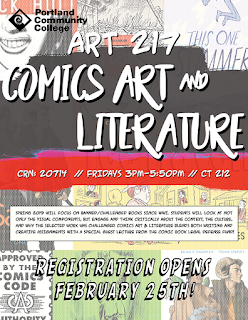 May 2 2019: Mini-Comic Guest Lecture at Portland State University in ENG 449, Comics Theory, with Diana Schutz. June 21 - 23 2019: Panels and zine workshop instruction at Lake Oswego Festival of the Arts. July 17 - 21 2019: Presenting "Adapting Jane" at the Comics Arts Conference at San Diego Comic Con. July 25th-27th 2019: Presenting "Poe-nography" and "Teaching Graphic Novels Workshop" at the 2nd annual Comics Studies Society Conference at Ryerson University in Toronto, Canada. August 12th 2019: Teaching a one-day Comics History lesson for the Summer Youth Camp at the IPRC in Portland, Oregon. 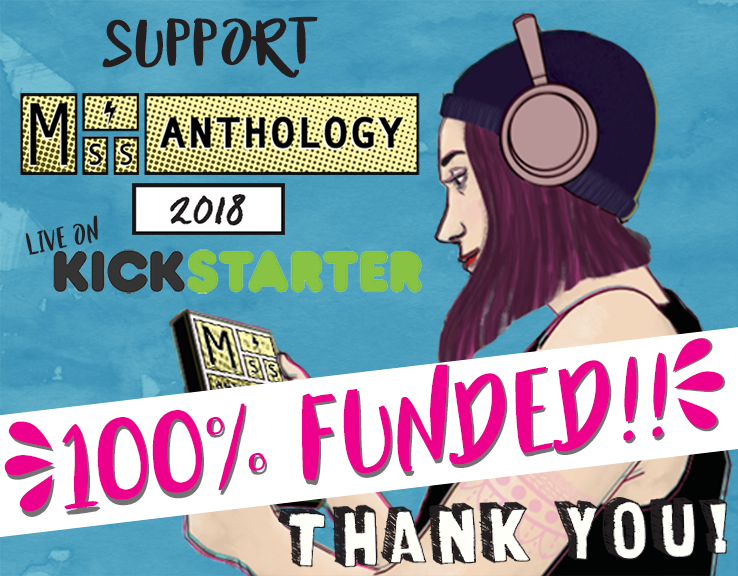 Miss Anthology 2018 is now live! We aim to raise a little over $5k in addition to our grant funding to print the anthology and compensate those who edit, create the cover image, and fund the workshops so that they remain FREE for the youth who attend! Any donation, contribution or comic purchase is greatly appreciated! September 2018: Super Salon at Gallery 101 September-October 2018: Art on display at Henry Higgins (Foster) October 2018: Group show at Splendorporium November 3 2018: Short Run Seattle with Miss Anthology November 10 2018: Euzine Fest with Miss Anthology Check out this great article on Miss Anthology director Melanie Stevens in the Fall Arts Guide of the Willamette Week!